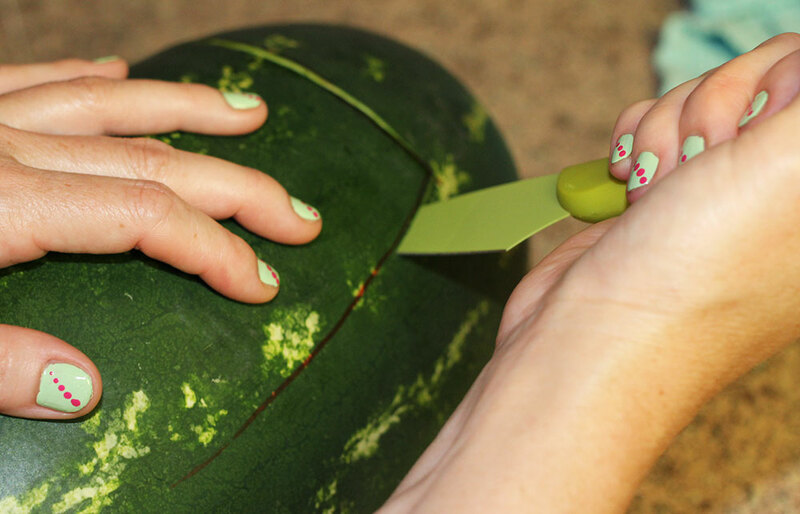 I typically don’t bring melon to potlucks because I know our bodies digest melon differently than other foods, so it’s best to eat it by itself. 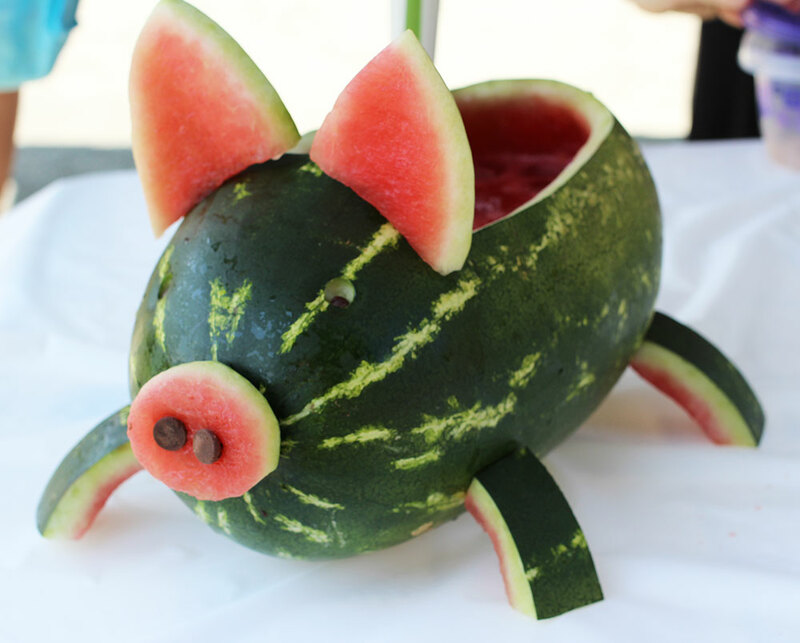 However, I couldn’t think of a cuter way to serve sangria than from a piggy. I started by sketching out some plans. 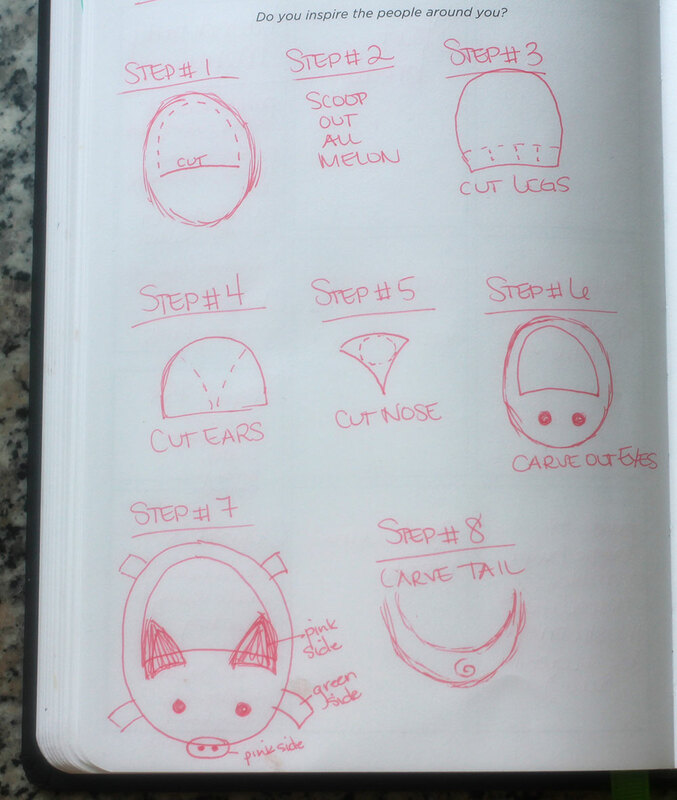 Step 1: Cut out the top piece (I drew the line first to make sure I didn’t mess up). 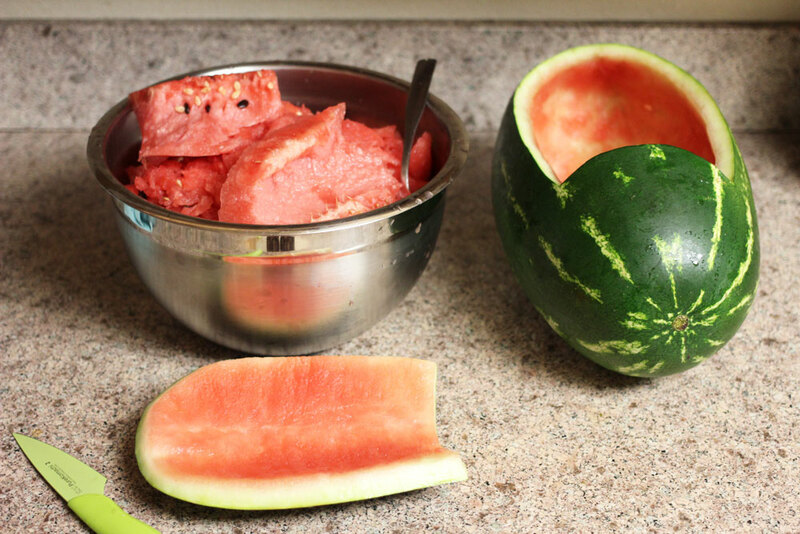 Step 2: Scoop out all the melon. 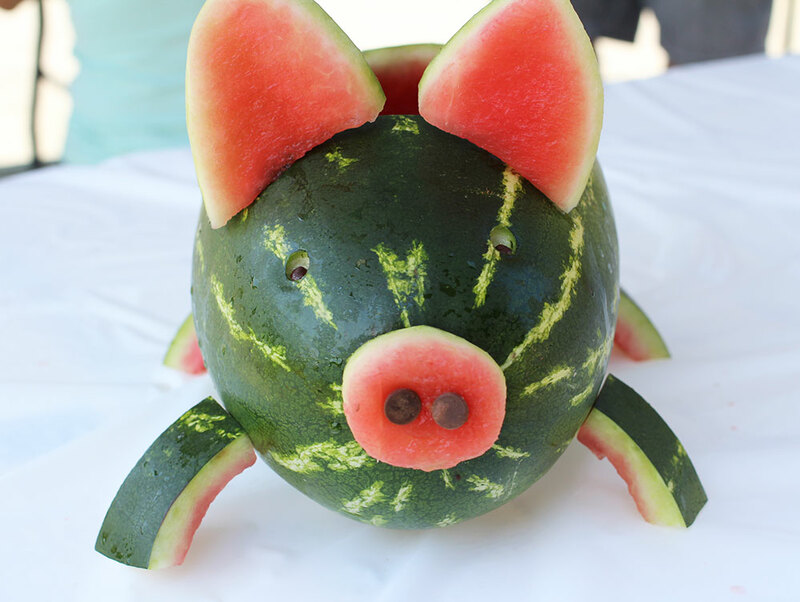 I started to get too sticky to take pictures of steps 3-8, but here are some pictures of the finished piggy. 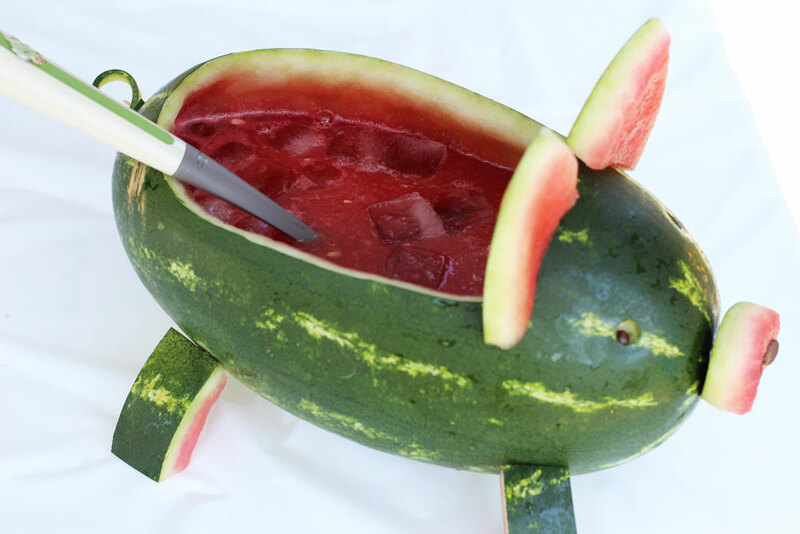 My final step was to make sangria in the pig. 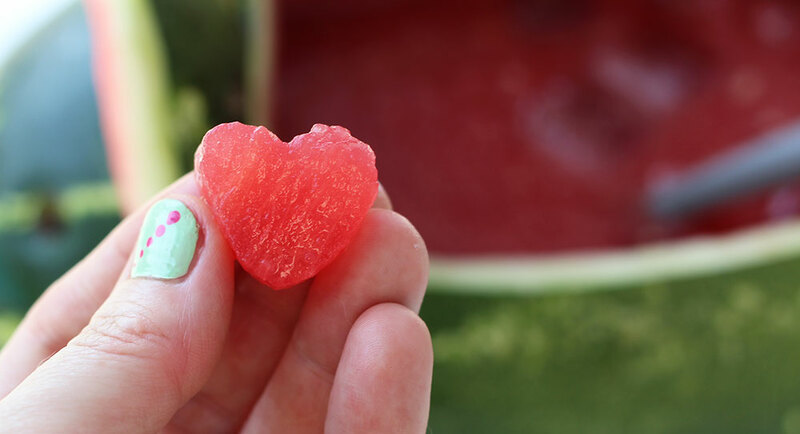 The sangria had a few short steps including cutting cute shapes from some of the melon, blending the rest of the melon to make watermelon juice, and adding vodka and sparkling wine. 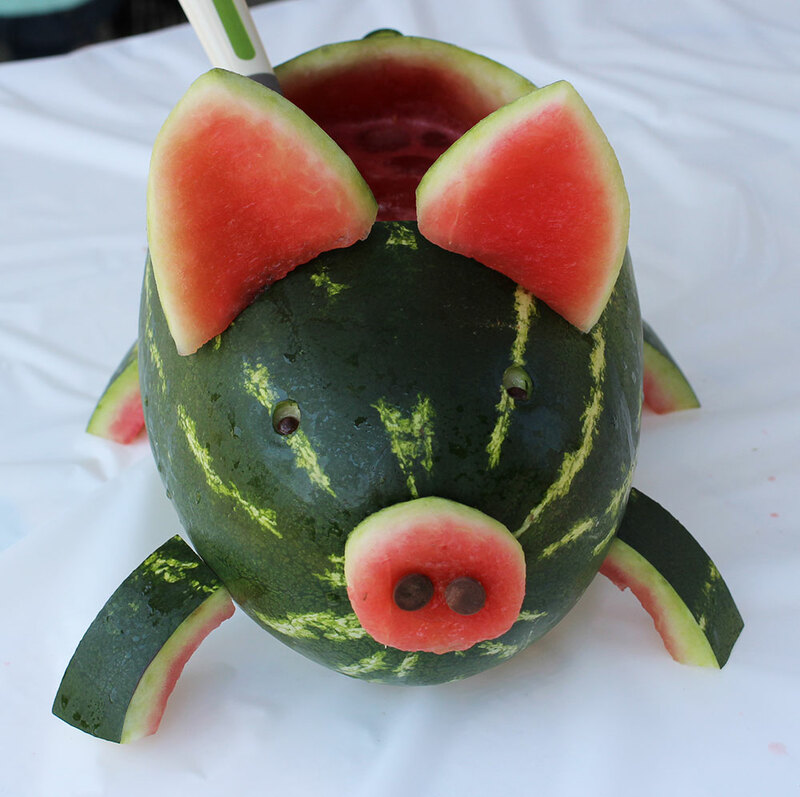 Cutting the watermelon shapes is an integral part to make sure your sangria is as cute as the piggy that serves it. I also brought my breakfast baskets, but I didn’t take any pictures of those since they’re already on this website. 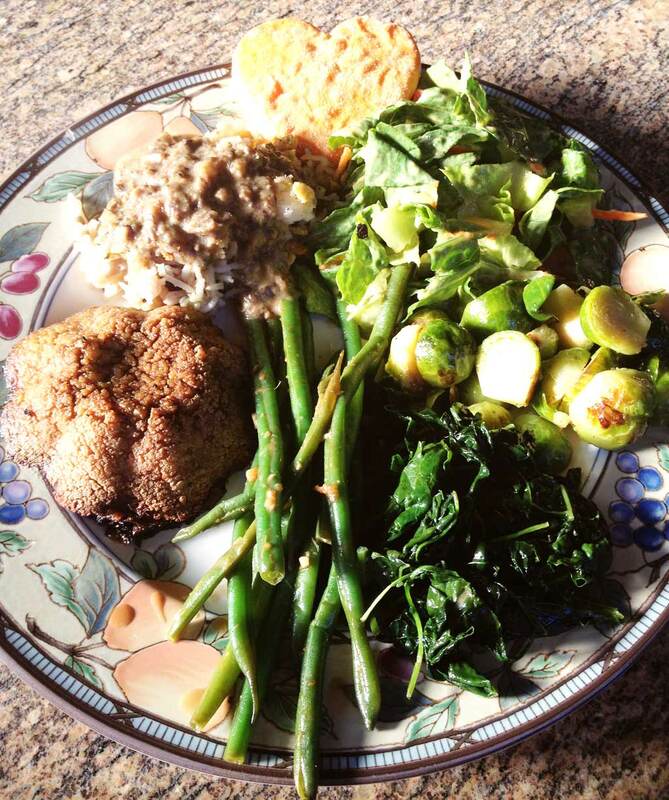 Although the potluck had around 80 attendees, I only got around to tasting a few items. 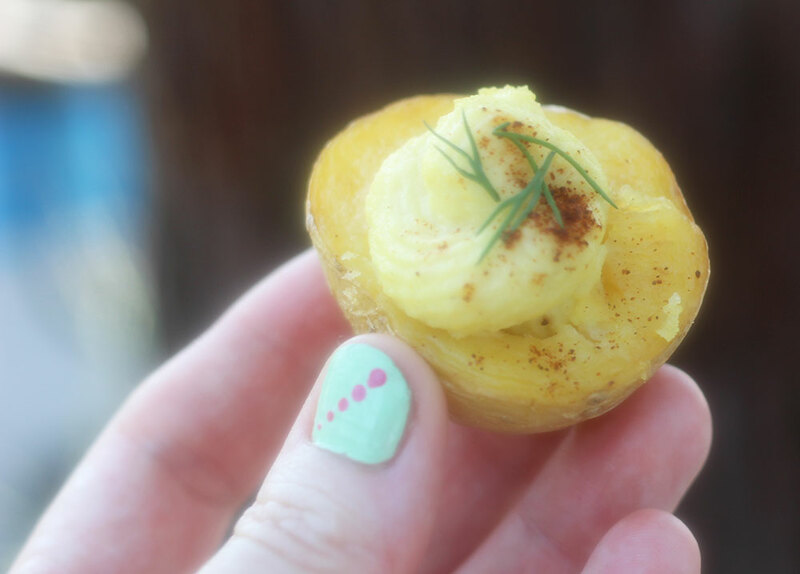 Jen of whollyvegan made these yummy and cutely garnished deviled potatoes. 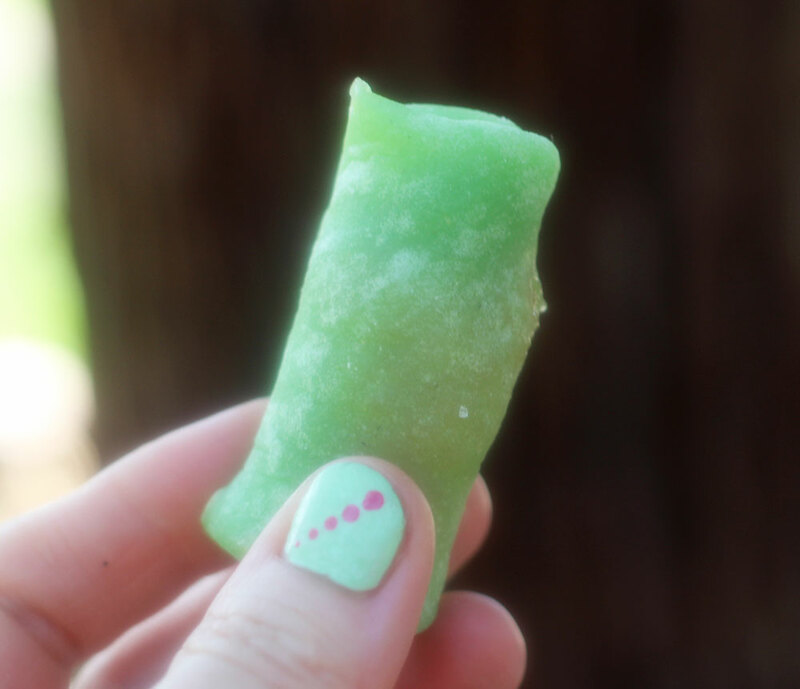 Roshi made these super cute Dadar Gulung (coconut pandanus pancake) in a variety of different colors.